How do you define eLearning? In this article, I will provide advice to address the challenge Instructional Designers face on defining eLearning in a conversation when there is no shared definition. What is eLearning? Yes, I know I should be able to answer the question. After all, I work for one of the premier eLearning companies in the world, and yes, I spend my days helping to create eLearning. But, the question remains. What is eLearning? Why defining eLearning remains a challenging task? A few years ago, I asked a perspective client if her company did any eLearning. She proudly replied, “Oh yes! We have hours of eLearning all accessible from our employees’ home page”. I said, “You do? That’s great!”. And then she elaborated, “I know! We record our sales webinars every week, and those are available to anyone who wants to listen to them”. So, is a recorded webinar eLearning? Was the original webinar eLearning? What if we called it virtual instructor-led training (VILT)? Now is it any more or less eLearning? I just finished a wonderful novel in which one sub-plot was about psychological studies that paired human children with young chimpanzees to compare differences in developmental stages for cognitive and physical tasks. I hadn’t known about those studies and found them very interesting. I learned some new information and got insights into child development beyond those things my Psychology classes had taught me. So, here’s the question: Since I read the book on my Amazon Kindle, which is an e-reader, does that make the novel eLearning? What is CBT? What is WBT? Are they different? How are they similar to or different from eLearning? And how do you spell eLearning? 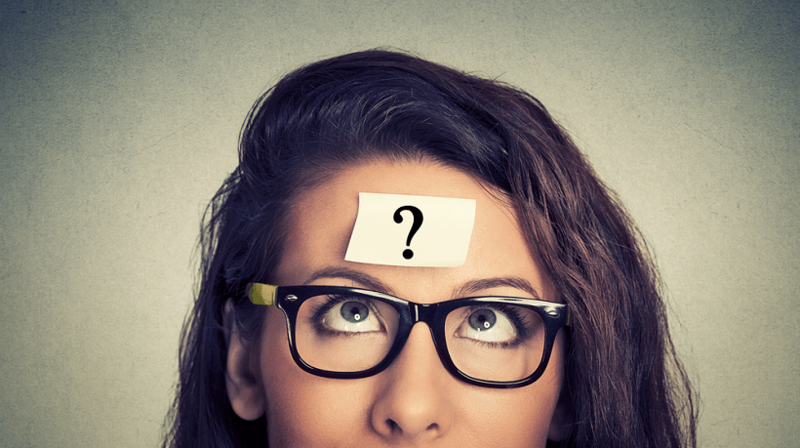 Is it eLearning, e-Learning, e-learning, or some other variation? I’m truly not trying to be silly or petulant here. What we call things matters a lot. A rose may be a rose, as Gertrude Stein asserted, but a rose is not a petunia, poodle, or giraffe. We can go even further with our questions: What is a click-tell? Indeed, what is an interaction? It’s been my observation that, as Instructional Designers, we often use terms that not everyone understands, or at least terms for which we don’t have a shared meaning. I’m worried that if I say “eLearning” in a meeting and look around the table, someone is thinking “webinar”, the next person envisions “Mortal Combat”, someone else is thinking “e-reader”, and the last poor guy wonders “um… what now?”. There’s a good reason why we don’t all speak the same language. Online anything, in terms of human history, happened a nano-second ago. This is a new field, one that is changing with the advent of every new device and technology. It’s also changing in terms of what we know about neuroscience and brain function. It simply takes language a long time to catch up, and language just hasn’t had the time or stability needed to do that. So, yes, it makes sense that we don’t have shared meaning for terms. But, the problem is that even if it makes sense, it’s still not helpful. Here’s how I think the field is evolving: We create the terms we need as we go, and then share them in conversations among our peers. Pretty soon, within our work groups and even in our larger organizations, we do have shared meaning. For example, when I talk about a multi-select multiple-choice question with a Submit button and item-specific feedback, my team knows what I mean because we’ve built that kind of interaction together. But, do you, dear reader, have even the foggiest notion of what I’m talking about? I have no idea if you do or don’t, but I know I certainly shouldn’t expect that of you, especially if you’re not immersed in the eLearning industry. 1. Use Visuals To Explain And Describe. Don’t just use words – even while gesturing wildly. Use visual images. The best way to start, I’ve found, is with a sketch. Draw a rectangle to represent a computer screen on a whiteboard, the back of a printout, or the screen of your tablet. Fill it in with what you’re talking about. The quality of the art doesn’t count, it’s only the quality of the communication that matters. 2. Prototype Rough Functionality In The Development Tool Of Your Choice. See if it works, show others to be sure they understand what you’re trying to accomplish. Find examples in other eLearning courses you’ve developed or that have been developed by someone else. This works well for us when we’re trying to design as an internal development team and when we’re working with clients. I’ll even give you a head-start on finding good examples. On the Allen Interactions website, you will find a number of eLearning courses and interactions. Take some time to browse and borrow from our ideas. They are there to serve as inspiration and are fair game for imitation. As one of our top Strategic Relationship Managers, Lisa Stortz, always says: “If our last good idea was our last good idea, we’re in trouble.” And, since this is an Allen Interactions blog, I will tell you shamelessly: Please reach out to us; we’d love to help you with any learning challenge you may have. 4. After You’ve Sketched, Prototyped, Or Shared Examples, Ask For Feedback. How will our learners benefit from this kind of learning experience? If we didn’t do this, what else could we do? You certainly have to set your ego aside to ask those kinds of questions, but it will be well worth it when you see the level of conversation you’re able to have. 5. Hand Off The Marker. Hand the marker, scratch paper, or table and stylus to someone else. Invite others to sketch out what their ideas might be. Remember to be patient – it’s OK to take time to think, cross out, crumple up, and start over. I think there is hope. Admittedly, I’m sort of naturally wired for optimism, so I may not be your best resource on real hopefulness. Given that, I’ll tell you what gives me hope, and that’s ADDIE. Pretty much anyone who cares enough about this stuff to read an eLearning blog knows what ADDIE is. Why is that? Simply because it’s been around since 1975 (yes, I googled it). Given that ADDIE has been taught in institutions of higher learning and used in countless conversations for the last 40+ years, we all understand pretty much what it is. We may all do it slightly –or a lot– differently, but we all have an image of it in our heads that is pretty similar. So, if we can be vigilant in being sure we have shared meaning and kind enough to define our own terminology graciously, we may one day be able to answer the toughest question of all: What is eLearning?